The 2019 Texas CME Professional Development Conference is scheduled June 19-21, 2019 at the Sheraton DFW Hotel. To learn more about the conference, visit the conference web site. Download the TMA Accreditation Manual, see current accreditation fees, learn the terms and definitions, and other tools and resources to assist you with accreditation. First time applicants and applicants for reaccreditation, find helpful information here. View the current list of organizations that have been approved by TMA to provide Continuing Medical Education. The Accreditation Council for Continuing Medical Education (ACCME) has collaborated with the American Board of Anesthesiology (ABA), the American Board of Internal Medicine (ABIM), the American Board of Ophthalmology (ABO), the American Board of Otolaryngology—Head and neck Surgery (ABOHNS), American Board of Pathology (ABPath) and the American Board of Pediatricians (ABP) to simplify and align the MOC process to better meet the needs of diplomates and to facilitate the integration of CME and MOC. CME providers are no longer required to submit MOC applications for approval to the certifying boards that are collaborating with the ACCME. 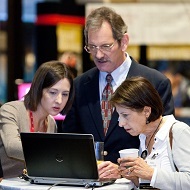 The registration process is available for all CME providers in the ACCME System, including state-accredited providers. A list of professional organizations, information on certification, and educational opportunities to support accredited providers. Triannual newsletter for TMA-accredited CME providers. Read about updates and changes in CME, compliance reminders, frequently asked questions, tips and tricks, upcoming professional development events, and links to several resources.